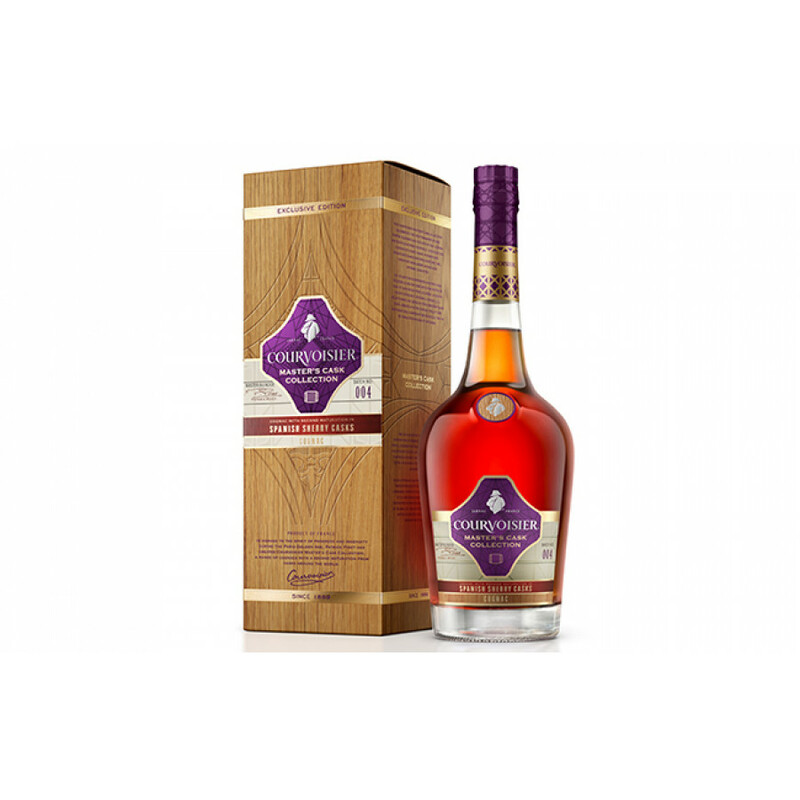 An innovative product, Courvoisier Master's Cask Collection Sherry Cask Finish is the first expression of so called 'double barrel aging' to be released by one of the large Cognac houses. As the name suggests, the aging process is finished off in barrels that have previously been used to age Sherry - Pedro Ximénez Sherry, to be exact. This has led to a unique tasting Cognac - one that will also appeal to malt whisky drinkers, as well as fans of Cognac. It's a VS quality, with the comonents making up the blend having been aged for between 2 1/2 to 8 years. They're then transferred to the PX Sherry barrels for a minimum of 4 months. The result os a Cognac that has wide-ranging appeal. The younger generation will appreciate this very different take on a traditional Cognac. And it also lends itself as a great choice in cocktails.